Today was a day for the history books! We woke up early and had a delightful breakfast and headed out to Brighton Beach! This eclectic seaside resort area has been a destination for tourists and locals for over 150 years. After the two hour trip, we parked at the pier and selected an awesome meeting point – right on the beach! We divided into groups and each group was led by an ISCA staff member. 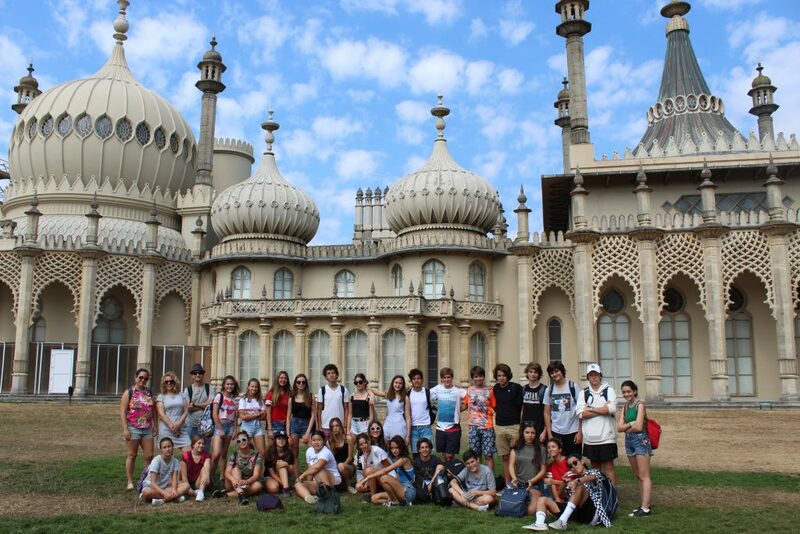 The staff member was responsible for showing the schools the different landmarks in Brighton. 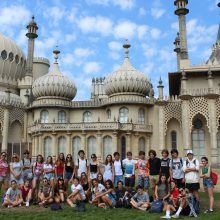 We visited the Royal Pavilion, the palace built in the 1700’s, the Pavilion Gardens, a beautiful botanical garden, and The Lanes, a unique section of town with a plethora of unique stores and shops. After the tours, the students had some free time to further explore the town and its offerings. 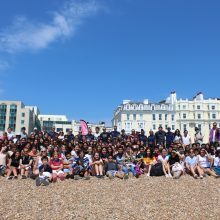 Some of the students enjoyed the amusement park on the pier, some visited the shops to do a bit of last minute souvenir shopping, and some enjoyed the beautiful weather by swimming and playing sports on the beach. The students were actually swimming in the English Channel!! The water was cool and refreshing which served as a reprieve from the scorching summer heat! 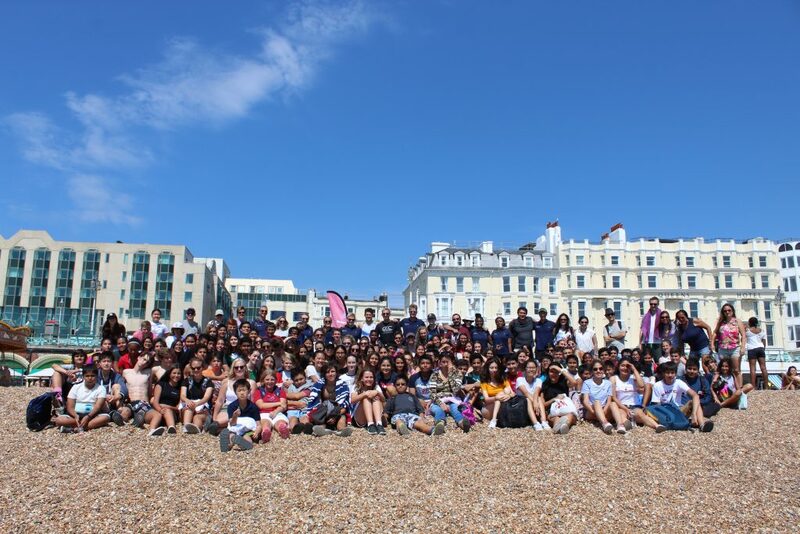 After we spent quite a few hours at Brighton Beach, we hurried back to Charterhouse to get ready for a night on the town! Before we left we had dinner and celebrated not one, not two, but THREE birthdays today! This year the students attended a showing of Wicked at the Apollo Victoria Theatre (not to be confused with the one in Harlem, NYC – LOL). The students dressed in their summer best and we headed off to the theatre. The musical did not disappoint! All students were captivated by the special effects of this enchanting musical. We left the theatre late and headed right back to Charterhouse where we immediately went to bed to rest up for our last on-campus day!